Virginia's former governor and his wife are now setting their sights on the start of their defense after losing a battle in court Friday. The judge rejected their motions to dismiss the 14 corruption charges against the couple. 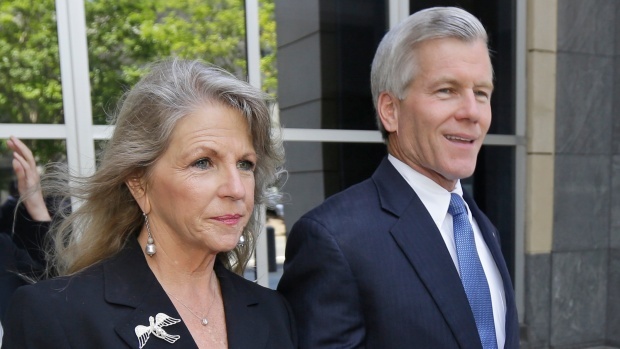 Bob and Maureen McDonnell's attorneys had filed the motions Friday morning, saying the prosecution had failed to prove the couple had violated any laws. But Judge James R. Spencer denied them. 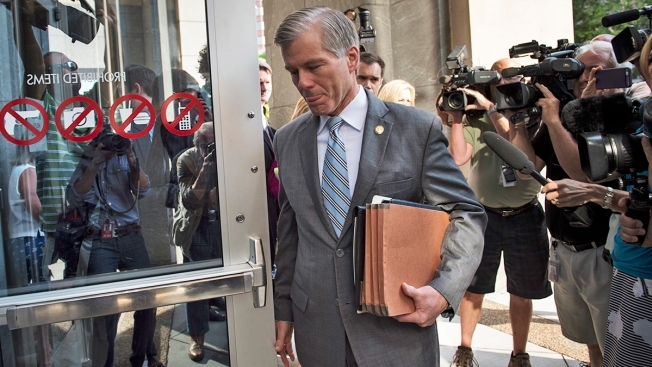 Now the most important witness in phase two of this trial will be Bob McDonnell himself. "I'm looking forward to having the truth come out," he said. As attorneys for former Va. Gov. Bob McDonnell and his wife Maureen prepare their defense, Northern Virginia Bureau Chief Julie Carey takes a look back at the corruption charges laid out by prsoecutors. The McDonnells are charged with accepting more than $165,000 in gifts and loans from Jonnie Williams, the former CEO of a dietary supplements maker, in exchange for promoting his company's products. They could face decades in prison if convicted. The defense's arguments Friday were similar to those of its past unsuccessful court motions. Specifically, lawyers argued that McDonnell had done nothing to provide Williams with anything of real value other than set up meetings and attend events. Defense attorney Ryan Newman said prosecutors are interpreting the law too broadly, in a way that could criminalize routine political courtesies and put other politicians at risk for prosecution. "The line must be clearer than that," Newman said. Spencer rejected that argument and said he would provide a written explanation at a later time. The prosecution's three weeks delivered 45 witnesses and hundreds of documents, all tied together with a flashy, color-coded chart. But some legal analysts and courtroom observers say in the end it may come down to who the jury believes: star prosecution witness and gift-giver Jonnie Williams, or Bob McDonnell. When asked about his credibility versus Williams, McDonnell responded, "I really can't comment on anything on the case other than I always try to tell the truth about everything I know in public life, and that's what I'm going to do when I take the stand." Their lawyers say the former governor and first lady will each present their own defense. Bob McDonnell said Friday morning that being involved in the case was "crushing." "All I can say is I've had 38 years of public service [and] public life," he said. "I've given my entire professional adult life to serving the people of the United States, in the Army, serving the people of Virginia in many different jobs, so obviously this is crushing to be a defendant in in a criminal case. I know in my heart what the truth is and we'll look forward now to having our case." Prosecutors rested their case Thursday after nearly three weeks of testimony. The defense is set to begin presenting its case on Monday.